Alcohol, ethyl alcohol, or ethanol, is an intoxicating ingredient found in beer, wine, and liquor. Alcohol is produced by the fermentation of yeast, sugars, and starches. 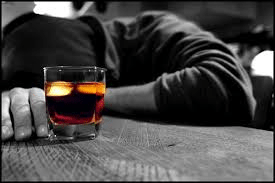 Alcohol is a powerfully intoxicating substance, sometimes even causing a physical dependence for the user and is a central nervous system depressant. In the United States, alcohol is legal and legally available for purchase once a person is 21 years old. 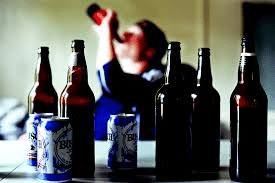 Often, alcohol is the first drug consumed by a person in their youth. Alcohol has been consumed for thousands of years across every civilization and every culture, often being the focus of religious ceremonies, community gatherings and other traditional customs. Around the nineteenth century attitudes toward alcohol began to change as staunch religious leaders and other conservative thinkers began looking as alcohol as “evil” and the temperance movement took hold in society, promoting moderate use of alcohol and eventually total prohibition. In 1920 the US passed a law prohibiting the manufacture, sale, import and export of liquor. During Prohibition, the illegal liquor business boomed as the Mafia and other underworld crime syndicates made millions of the illegal sales of alcohol. In 1933, the United States repealed the prohibition law. In 1935, Alcoholics Anonymous officially was born. Today an estimated 15 million Americans suffer from alcoholism. Treatment for alcohol abuse or alcohol addiction sometimes may include a need for a medical detoxification as the withdrawal from physical alcohol dependence can be fatal. Therefore, often some type of short term or longer term inpatient medical detox may be necessary. Treatment for alcohol addiction and dependence will include behavioral interventions, including cognitive-behavioral therapy, as well as other evidence-based treatment. Individual and group therapy and counseling would be utilized. However, the same comprehensive addiction treatment used for any person suffering from alcoholism and substance abuse would be used. A holistic approach that looked at the alcohol abuse, the underlying causes and conditions, emotional state, character pathologies, family dynamics would be examined, assessed and treated. The successful addiction treatment paradigm of medical treatment, psychotherapeutic treatment and social services/vocational counseling combined into one integrated approach would be used to treat alcohol abuse and addiction. If you or someone you know is suffering from alcohol abuse or alcohol addiction or any other issues with drugs and alcohol, please call us for help. Maryland Addiction Recovery Center offers the most comprehensive addiction treatment in the area. Please call us at (410) 773-0500 or email info@marylandaddictionrecovery.com. For more information on all of our alcohol and addiction treatment services and resources, please visit the web site at www.marylandaddictionrecovery.com.